Home Turkey Recipes Must-Know Stuff About Your Turkey Fryer Oil! Read or Miss! Turkey is a common sight on the tables in restaurants and at homes. A number of delicious poultry dishes are created from turkey, but the idea of spending four or more hours cooking a turkey in an oven tends to turn people away from preparing one. However, many people have found that frying your turkey can reduce the amount of time it takes to cook, aside from removing the worries of constantly basting the bird to prevent dryness. But for those who have never fried a turkey before, there are many questions to answer. One very important issue to deal with to ensure a delectable turkey is served to the table should be what turkey fryer oil to use and how much oil to fry a turkey correctly. Which Oil Should Be the Best Option for Turkey Frying and Why? While most fryers and turkeys are often the same or similar, there are many oils that could be used as turkey fryer oil. 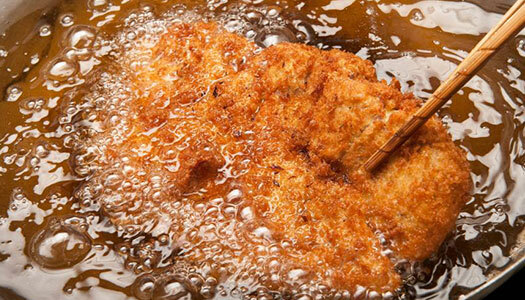 So which oil should be the best option for turkey frying, and why? One specific item to consider when frying with oil is the temperature at which the oil will begin to burn, also known as the flash point. For frying turkeys, which can weigh up to 20 pounds, you should use an oil that has a high flash point. While there are a number of oils that can be used, such as peanut oil, vegetable oil, canola oil and corn oil, each has its own good and not so good points. The more heat an oil can tolerate, the more quickly the turkey will cook. Because of this, peanut oil for frying turkey would be the best fit. Depending on the capacity of your fryer, the turkey fryer oil may take longer to heat, but will in turn hold the temperature as high and as long as you need it. Peanut oil for frying turkey can work in ranges past 400°F, as can corn oil. 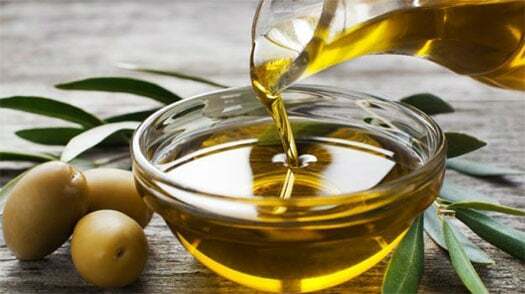 In addition, you can look for oils that are low in fat, such as soybean, avocado, olive or coconut oils. Can I Use Vegetable Oil (Canola Oil) and Corn Oil to Deep Fry a Turkey? As these oils may be more difficult to find, and sometimes more expensive, you may ask ‘can I use vegetable oil (canola oil) and corn oil to deep fry a turkey? Certainly; corn oil doesn’t tend to start to burn until it hits its flash point at 440° F. But it may be better to avoid the cheaper vegetable or canola oil; while it may be cheaper than corn or peanut oil, you will find it begins to smoke at much lower temperatures than higher quality oils, which means you are burning the oil in small amounts, and will steadily lose the oil as smoke while you cook it. Because of this, many cooks on the internet will recommend peanut oil for frying turkey, as the higher temperature means the turkey will absorb less oil, contributing to a better-cooked meat as well as a healthier meal. How Much Oil is Needed for Frying a Turkey? Once you have decided what you will use as your turkey fryer oil, you must know how much oil is needed for deep frying a turkey. As you will most likely have to use an aluminum pot that holds 30 quarts or more in order to get a 20-pound turkey completely submerged in the fryer oil, you will more than likely need three to five gallons of oil. If you find that you cannot completely submerge the turkey, you may have to separate the turkey carcass and fry the white and dark meat in separately. Remember that the larger the turkey is, the more mass has to be heated in the fryer and therefore a 20-pound turkey may be as long or longer than a 15-pound bird. In addition, more oil will require longer times to get up to the fryer oil up to the best temperature, which can make the time before you can fry the turkey seem very long – sometimes as long as six hours. But once the oil does reach the proper temperature, it will take roughly three minutes per pound of turkey, as well as an additional five to six minutes minimum to create a safety window to ensure the turkey is cooked all the way through to the correct temperature. Now that your turkey is cooked to perfection, what do you do with the oil that remains? Can it be reused? Many people will give you many different answers, but most cooks believe that frying oil can be reused – especially peanut oil for frying turkey. 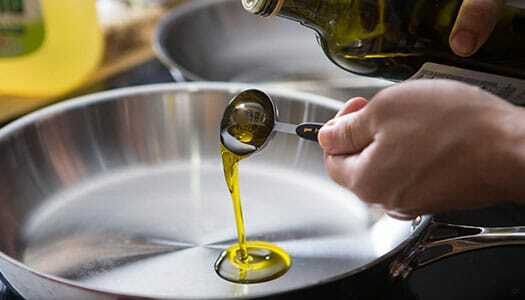 Once the oil has completely cooled and is safe to handle, you can pour it from the pot into a container; either the original container or another sealable container will do. You should certainly strain the oil, as there will be small bits floating in it which can cause the oil to become sour or rancid. Strain the oil through a filter such as coffee filters or cheesecloth as you pour it out. 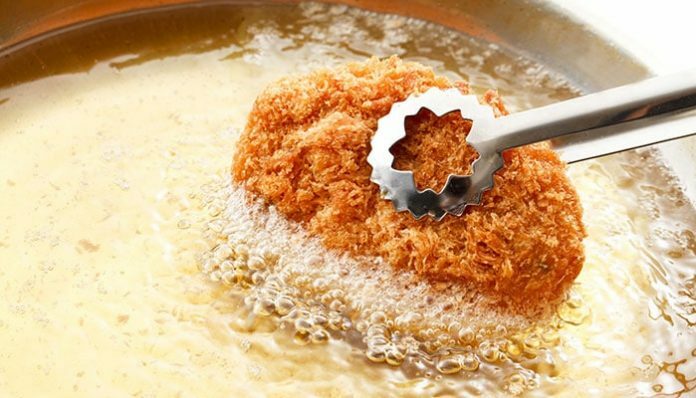 Depending on the consistency of the leftover fryer oil, this filtering process may have to be repeated until the oil is completely clean – but it is worth it! As you find more and more reasons to fry other foods, you will easily know how much oil to fry a turkey just by reusing the oil again. However, when you have decided to reuse the oil, check to see if it has separated in any way or has any bad smell. Purchase fresh oil instead. Once the oil is strained and as clean as you can get it, you must now decide how to store the oil? While the best option would be to refrigerate it until you decide to use it again, but finding space to refrigerate five gallons of oil can be a challenge. So the next best method to store the oil would be to find a cool, dark, temperature-controlled space to keep the oil. By ensuring that the environment is as stable as possible, you can store your oil for up to six months before you will have to be concerned about it becoming unsafe to use. For example- when properly stored, peanut oil can be reused at least three additional times after the first use, and some individuals report that they have used their stored oil up to five times before it becomes unusable or spoiled. This is because peanut oil can be easily frozen for a long time, which makes it a better bargain than other oils. 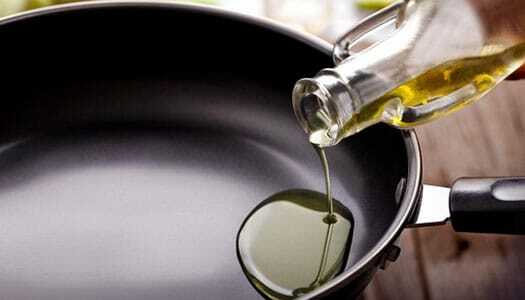 Once you have gained as much use out of your oil that you can, decide how to dispose of the used cooking oil? It is unwise to simply pour your used oil into a sink or other drain, as the oil will not only separate but can encourage clots and clogs to grow and increase as debris encounters the oil within the septic system. In addition, large amounts of oil in a leach field or septic tank can disrupt the bacterial ecology within these sewage disposal systems and create more difficulties than expected. Given this, suggestions have been made that you can utilize the used oil as fuel; more and more, oil is being turned into biodiesel, which extends the life of the oil even more. However, if you cannot find a place to donate the oil, and you are not interested in making biodiesel fuels, you can contact your city or county officials to find an oil collection facility. These facilities, typically located in urban areas, car dealerships or automobile parts stores, can collect and dispose of the unwanted oil safely. Utilizing peanut oil to fry a turkey seems to be the clear winner for individuals interested in creating a deep-fried, tasty turkey for their meals. It is simple to do, and due to the higher temperatures and gas-powered fryers. Because you now know about oil selection, usage, storage, and disposal, that 20-pound bird that has been sitting in the freezer can quickly be turned into mouthwatering meals, snacks, and sandwiches with much less effort than before. Give it a try – and you may never have to put a turkey in your oven again. Also, don’t forget to see our baked turkey as well as ground turkey recipes right here at Grills Forever to satisfy your taste buds with a variety of deliciousness! Previous article3 Tested Ways to Clean Your Big Green Egg Fast! Try One of Them Now! Can Turkey oil be reused? There is a debate though in this matter, but most chefs believe that Turkey oils can be reused. Specially peanut oil.